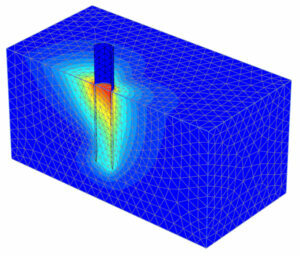 PLAXIS is the leading geotechnical finite element software developed specifically for deformation analysis of soils and rock. Renowned for ease of use and accuracy, it will help you optimise your designs more effectively than applying traditional conservative calculation methods. Geotechnical applications often require advanced constitutive models for the simulation of the non linear, time dependent and anisotropic behaviour of soils and rock. 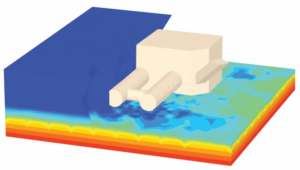 In addition to traditional Mohr-Coulomb and linear elastic materials, further models have specifically been developed with parameters that can be readily determined using standard soil testing methodologies. Pore pressures in the soil can be accurately captured for both simple hydrostatic, water-table derived problems as well as more complex situations where artesian conditions, ground water flow and soil excavation drive the pore water pressures. Developed by Plaxis bv, the software includes geometry creation tools and automated settings to allow geotechnical problems to be analysed efficiently & accurately with the minimum of training. PLAXIS has 2D and 3D versions, with optional dynamics, transient ground water flow and thermal add-on modules available separately or as a suite. Perpetual license and lease options are provided to suit project requirements. A free Introductory Version of PLAXIS 2D and 3D for training and evaluation purposes can be supplied on request. Contact us to order your copy. PLAXIS VIP is an additional annual maintenance contract comprising access to latest releases, extended software capabilities, technical support and discounts on selected training courses. PLAXIS proved an excellent tool for carrying out the study allowing the rapid modelling of the proposed construction stages and clear and concise output for review by third parties. I would recommend this training session to all personnel who have interests in soil mechanics or foundation engineering areas. It demystified FEA. I have more confidence in approaching problems and also numerical analysis of geotechnical problems. This course provided an excellent link between understanding soil and FE modelling in Plaxis. It demonstrated (via example) how a knowledge of soil behaviour with sensible data input produces reliable visualisation of construction. The focused course gave useful guidance on critical consideration for modelling inputs and methodology. I would recommend for beginners and intermediate-level PLAXIS users. 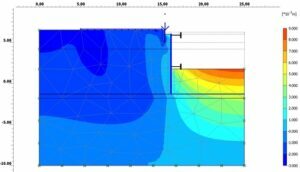 An interesting and enlightening introduction to the use of FEA in geotechnical analysis and design practice. Thank you. A very useful introduction to the software which will encourage me to use Plaxis on future projects. I attended the PLAXIS course and found it very useful from a useability point of view. The course explained very well how to implement various models by various means and highlighed the limitations of particular models in certain circumstances. PLAXIS is an essential string to RJM’s bow and provides us with a competitive advantage over many of our competitors both in the range and speed of analyses we can undertake. We use PLAXIS to help us investigate an increasing variety of geotechnical problems and find the fact that the results of complex analysis can be presented to clients in such a clear and visually attractive way really helps to explain our findings. Great introduction to PLAXIS and a reminder of soil theory for those who need it. It was an enjoyable and informative course with the right balance of presentations and workshop exercises. I feel ready to put my new PLAXIS knowledge into use at the office. The course was very well organised. Even though I have used PLAXIS before, I still find it very helpful to be able to learn new functions/features that I wasn’t aware of before. The course not only enhanced my skills in Plaxis analysis but also it helped me better my understanding of soil mechanics and finite element modelling. The tutor was very knowledgeable. A very informative course.